Vanessa Wolbrink joined Achieve in 2015 as a Program Associate for the Science Team. She provides support for the Next Generation Science Standards (NGSS) adoption and implementation for states and districts as well as Achieve’s STEM initiatives. Before joining Achieve, Vanessa worked at Americans United for Separation of Church and State, where she served as a Legislative Assistant monitoring and analyzing national and state legislation, including education and nondiscrimination policy. Before her policy work, she was a Teach for America educator serving as an elementary teacher in the Charlotte-Mecklenburg School District. 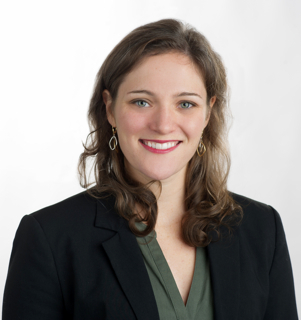 Vanessa holds a Master’s degree in Public Policy from The George Washington University and a Bachelor’s degree in Sociology and Women’s Studies from University of Michigan. “When I was an elementary school teacher, I saw so many ways my students were institutionally discouraged from getting the most out of their education. The school’s test scores were low, which wasn’t surprising because the standards being tested weren’t aligned with the curriculum the teachers were told to teach. My students loved science, but it wasn’t tested until later, so teachers were told to largely ignore the subject and focus on literacy and math. Understanding at such a young age that the cards were stacked against them, my students often had low expectations of themselves and their school.